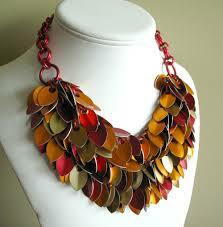 Do you love chain maille, or do you find it intimidating? Do you love the sleek minimalism of it, or do you wish there were a way to jazz it up a bit? 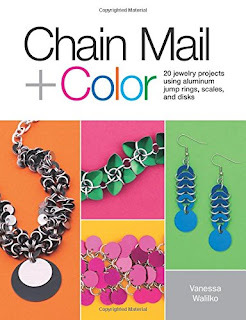 No matter what your opinion of classic chain maille, I think you're going to be enchanted by Vanessa Walilko's book Chain Mail + Color, published by Kalmbach. Never fear if you've not tried chain maille before. Vanessa introduces you to three very simple weaves that you will be able to master quickly. She teaches you all the little tricks and techniques to working successfully in the Basics section, and (YAY!) gives you a list of suppliers who carry the various materials that she uses. The main body of the book is broken into three sections. 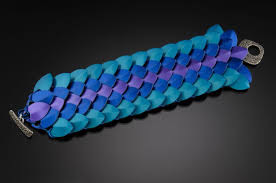 Once you've learned the weaves, you can then choose to add colorful aluminum scales, disks, or washers to make your designs really pop, but without adding a lot of weight. Oh, and did I forget to mention that the jump rings themselves that you'll be working with are also aluminum? Intimidation gone! You don't have to worry about messing up a precious metal anything. The colors range from eye-searing and super-fun to more subdued and elegant. Vanessa's style runs more towards the fun, hip, happy pieces. 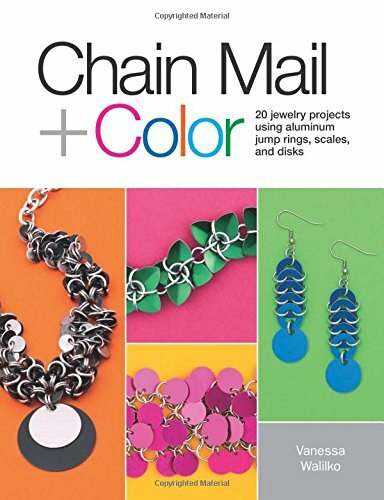 If you do a lot of chain maille work already, I still think you will enjoy seeing how she integrates these shots of color. You can think about adding some of it to your own work. And if you are the type who prefers more quiet color schemes, don't let the bright cover turn you off: you can stick with the metallics and neutrals if you like! I'm so glad you liked Vanessa's book! I've taken classes with her before, and she is an amazing and patient teacher as well as an awesome person.